Dennis Bernard is a professional brand of hair stylisation products, which in its offer has a Powertools line of cosmetics, and among them TCA – colouring oil. How does TCA Dennis Bernard work? What ingredients are in The Color Accelerator formula? Few informations about this product you will find below. 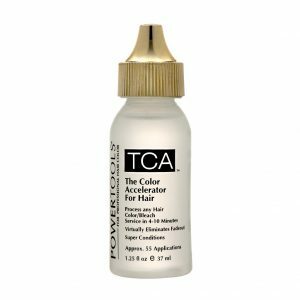 TCA drops is a product used in colourisation and hair highlight, and it reaches 80s, when its properties were discovered. The Color Accelerator, as the name states, accelerates colour, and allow shortening of dyeing time with product of any brand by even 70%! 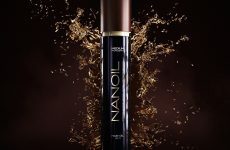 TCA oil has many more properties – preserves colour on hair, eliminates fading colour effect and leaves hair silky smooth. What is the composition of TCA? vitamin E, is an antioxidant protecting hair cells against damages. Complex of two natural oils and vitamins is the best combination for hair, which during (and right after) colourisation need special moisture, nourishment and protection against external factors. The Color Accelerator has positive influence on colourisation effects – delays ageing process of hair, limits damage and hair loss. TCA Dennis Bernard is a formula that slower decomposition of hydrogen peroxide deep in hair structure. Content of antioxidants in TCA oils support colour molecules during dyeing. The Color Accelerator also works in a positive way on hydrogen, which destabilises during the colourisation process, what can have negative influence on the colourisation. Stabilisation of hydrogen in the dye gives better results. 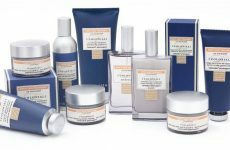 With a brush and a razor – shaving cosmetis for men by I Coloniali. How to take care of blond hair?